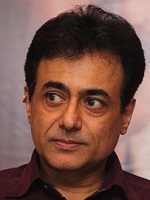 Nitish Bharadwaj was born on 2nd June 1963 in Mumbai, Maharashtra. He attended Bombay Veterinary College, Parel, Mumbai and a qualified veterinary surgeon. He started his acting career with Marathi films like Anapekshit, Pasanta ahe Mulgi, etc. He gained popularity after millennium hit television show Mahabharat wherein he played the role of Lord Krishna, aired on DD National. He subsequently appeared in B. R. Chopra’s Vishnu Puran portraying lord Vishnu. After a long gap from films he made his comeback in 2013 as a director for Marathi film Pitru Roon, it was based on novel written by Sudha Murthy. Film was both commercial and critical hit, he earned Maharashtra State Film Award and Screen awards – Best Director – 2014. He is currently focusing on screenwriting, direction & acting. He contested for Lok Sabha elections 1996 from Jamshedpur on Bharatiya Janata Party ticket and won the election. 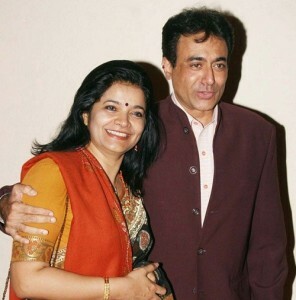 He was married to Monisha Patil, daughter of Femina Magzine editor. The couple gave birth to two children and divorced in 2005. After the divorce Monisha Patil moved to London with her children. After divorcing his first wife Nitish Bharadwaj married Smita Gate, an IAS officer in 2009.